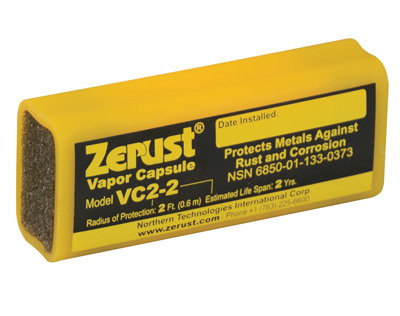 Foam capsules emit anti-corrosive, odorless, invisible, and non-toxic vapors to protect metal surfaces. Provides 2' radius of corrosion protection and 33.5 cu. ft. volume protection for up to one year. Capsules have self-adhesive backing. Environmentally friendly. Ideal for protecting items inside of enclosures like electrical control boxes. Call for details about VCI bubble and foam, custom sizes, and printing.